Melatonin: Is it Right for You? Touted as being a more “natural” solution to sleep disorders, melatonin is fast becoming one of the most popular sleep-aids in America, with more than 3 million people all over the country taking melatonin to help them sleep. But is it really natural? Yes, the human body naturally produces melatonin, but commercially-available melatonin is synthesized in laboratories. Does it put you to sleep? Well, not exactly, but it does help promote sleepiness. Because it’s natural, many people even claim that expired melatonin works just as well as non-expired ones. But is that true? There are many common misconceptions about melatonin, so we’ve compiled all the things you need to know about this popular sleep-aid. As with any kind of medication, it’s always best to consult with a medical professional before taking any kind of supplement. Melatonin, while mostly safe, still has contraindications that are potentially harmful to your health. As with any type of medication, taking expired melatonin is not recommended. Discovered as early as the 2nd century by Galen of Pergamon and other Greek doctors, melatonin is produced in the pineal gland, what Rene Descartes called the “seat of the soul”. Despite being known to doctors and pharmacists for centuries, it wasn’t until 1958 when dermatologist Aaron Lerner started researching the effects and uses of melatonin for humans. During his research, Lerner experimented with 100mg of melatonin on himself, noting that it had no effect other than sleepiness. Extensive research on melatonin started around the 1980’s, with Alfred Lewy’s 1981 breakthrough study on the effects of light-dark rhythms on melatonin in humans. This put the spotlight on chronobiology, a field of science dedicated to the study of cyclical phenomena on living organisms and spurred further research into the benefits of melatonin. By the early 90’s, researchers had created a solid knowledge-base for melatonin which cited the compound’s effects on bodily processes. They found that melatonin was crucial to such functions as restraining tumor growth and immune modulation, as well as its function as an effective antioxidant. Further research is still being conducted on melatonin and scientists are working hard to perfect it as a solution for various hormone disorders and even cancer. A naturally-occurring hormone in the human body, melatonin acts as a regulator for circadian rhythms and as an antioxidant for mitochondria. Light has a profound effect on the human body; when there is an increase of light, melatonin levels in the body drop, which helps your body prepare for wakefulness. When it’s dark, however, melatonin levels in the body increase to help your body prepare for sleep. The melatonin then acts on the various systems of your body to help muscles relax, lower body temperature, regulate breathing, and sedate brain functions. 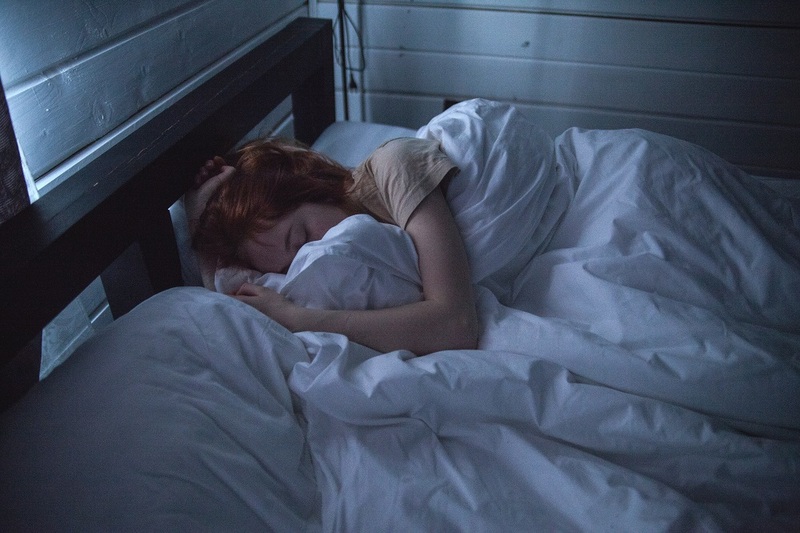 Some researchers believe that people suffering from insomnia have lower-than-usual levels of melatonin in their system, so it’s usually recommended for the treatment of the disorder, whether as a vitamin supplement or in concentrated form. Synthetic melatonin is used in the short-term treatment of sleep problems and, at times, blood pressure regulation. It is usually sold in pill form, however some versions exist where it can be placed under the tongue or in the cheek for faster absorption by blood vessels. Although it’s usually used by people who simply want a good night’s sleep, melatonin is also useful for people trying to adjust with changing work schedules (or, shift-word disorder), people with jet lag, and even the blind. People suffering from visual impairment have a hard time establishing a sleep-wake cycle, so melatonin is prescribed to them in order to establish a “day” and “night” for them. It can also be used in mild doses to calm people being prepped for surgery. In its topical form, melatonin has been used to protect the skin from sunburn, preventing mouth ulcers brought about by radiation during chemotherapy, and as a hair loss solution for people suffering from Androgenetic Alopecia. After using it as a vein relaxant for people who had just suffered a heart attack, scientists are now looking into melatonin as a potential treatment option for cancer patients. This is still in the research phase, but it has promising results. Unlike most medications, melatonin has a relatively long expiry date. But even when expired, melatonin poses very little-to-no ill effects when taken, except for a reduction of potency that increases exponentially over time. Because it’s a naturally-occurring hormone in the human body, Melatonin has few side effects, with most being minor. However, there are some effects to watch out for. There has yet to be observable side effects for people using melatonin within a short period of time, whether taken orally, injected, or topically. However, for people taking it long-term (i.e. more than 2 years), it can cause minor side effects like irritability, dizziness, daytime sleepiness, headaches, and short-term depression. While it doesn’t have the heavy sedative effects brought by other kinds of medication, it’s still not advisable to drive or use machinery for up to 5 hours after ingesting melatonin. Research is still on-going as to the safety of melatonin being injected directly into the body, but as of the moment, no uncommon adverse effects have been observed (although it’s always best to do this with the supervision of a medical professional). However, there are times when the use of melatonin is not advisable, even unsafe. Pregnant and breast-feeding women are not advised to take melatonin in any form as this might have a negative effect on babies. Melatonin has also been known to interfere with ovulation, so women trying to get pregnant should think twice before using it. While using melatonin on children is most likely safe, it is best to do it on a short-term basis. Because melatonin acts on hormones, developing children might have a difficult time adjusting to natural hormone changes during adolescence. People with bleeding disorders are also not advised to take melatonin, as this might interfere with their blood coagulation. Because it has an effect on blood pressure and coagulation, melatonin is also not advised for people with diabetes, as this might interfere with other medicines. While results are still unclear, melatonin is also not advisable for people who suffer from seizures. Because melatonin acts on other hormones, it has a tendency to increase immune functions, making it unsafe for people undergoing immunosuppressive therapies, like transplant patients. Studies are still being conducted on the use of melatonin on people with depression. Insomnia is one of the symptoms of depression, which leads some researchers to believe that fixing a person’s circadian rhythm might help ease depression as a whole. However, some researchers are more cautious: because depression is also an imbalance in hormones, adding melatonin might make symptoms worse. Consult with a psychiatric professional before taking melatonin when depressed. As one of America’s favorite sleep-aids, people swear by melatonin’s effectiveness, and scientists back it up: studies conducted by sleep researchers and doctors from the National Institutes of Health conclude that melatonin is highly effective in encouraging sleep in people suffering from insomnia and in children with autism and other central nervous system issues. However, that same study showed that while it was effective in encouraging sleep, it had little-to-no effect on the quality of sleep people get. Although some scientists have had breakthrough’s in studying melatonin’s effectiveness in treating other conditions, the results are few and far in between. Given that, however, there is some evidence that melatonin is effective in reducing the instances of cluster headaches, as well has helping ease symptoms of Tardive Dyskinesia, a movement disorder. Recently, more and more tests are finding evidence of melatonin’s effectiveness in helping cancer medicine combat tumors as well as ease the symptoms of cancer treatment. 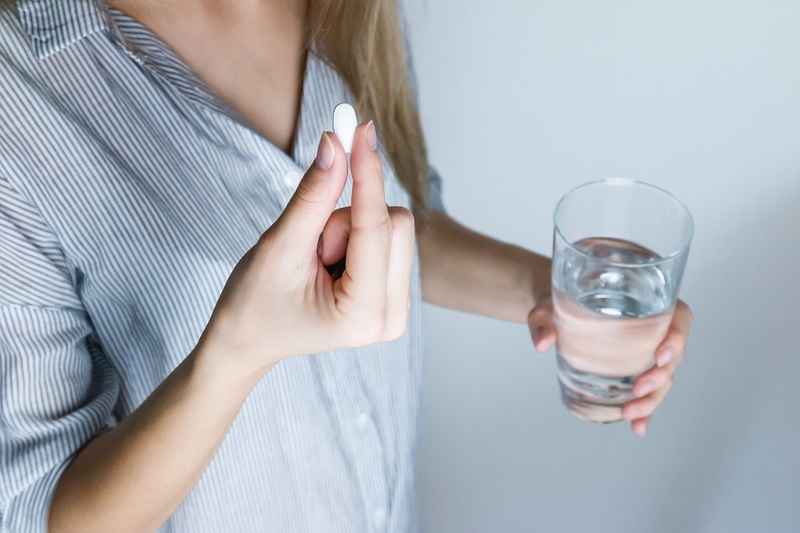 One study showed that melatonin was effective at stifling the growth of breast cancer cells and inhibiting their ability to move to other parts of the body. According to the American Cancer Society, however, an overwhelming majority of melatonin’s effectiveness against cancer was done in small studies, and are, at the moment, inconclusive. New research is being done on melatonin supplements and their effectiveness in addressing sleep problems from people who are weaning off benzodiazepines. The human body produces enough melatonin to get people drowsy; however, jet lag and insomnia can interfere with the body’s production of melatonin. But even without the sleep-aid, there are ways for people to encourage melatonin production in their system in a natural way. Melatonin levels start rising at least two hours before your natural sleep time. During this time, start preparing your body and your environment for bed. Blue and green lights from computers, tablets, smartphones, and other devices trick your body into thinking that it is still daytime, therefore, will interfere with melatonin production. Put devices away 2 hours before bed. To further increase the efficiency of melatonin, encourage a healthy circadian rhythm by getting plenty of natural sunlight during the day. Bask in sunlight by a window, or take a long walk outside. The latter will give you a healthy level of fatigue as well as enough light to encourage a natural sleep-wake rhythm. While melatonin’s efficacy is well-documented, it’s still best to consult with medical professionals before taking melatonin for sleep disorders. It’s always good to remember that melatonin is not, in itself, responsible for drowsiness. Instead, melatonin prepares your body to sleep, so staying asleep is a different issue altogether. For deep-sleep issues, consult a specialist.